"Amazon RDS allows Alfresco and our customers to quickly and easily deploy a scalable, fault-tolerant relational database to support business-critical document management. Along with our S3 support, leveraging Amazon RDS frees us from the day-to-day management tasks often associated with database administration and data storage while allowing Alfresco and our customers to efficiently manage hundreds of millions of business-critical documents in a secure and compliant way. Amazon RDS makes things easy, period." "We reviewed many of the existing and emerging solutions on the market and standardized on Amazon RDS for Oracle due to its superior performance, low cost and license included licensing model for Oracle Database Standard Edition One. MarketShare enables Marketers to build sophisticated models and provide them with customized forecasts, simulations and optimization models. These require the application to run sophisticated OLAP queries interspersed with large scale updates. Amazon RDS for Oracle helps bring scalability and cost effectiveness to this environment." "We utilize Amazon RDS as the backend for our ERP applications. With provisioned IOPS storage, we get consistent output with low latency while accessing our applications. We have opted in for Multi-AZ deployments to provide enhanced availability and durability. With the help of Amazon Cloudwatch our DB instances are configured to scale up and down automatically." CartoDB is a cloud based mapping, analysis and visualization engine that lets users build spatial applications for both mobile and the web. "CartoDB is based on PostgreSQL, and gives you access to the functionality of PostgreSQL and PostGIS, to develop whatever application you need. Our initial tests using PostGIS within RDS for PostgreSQL have demonstrated success and surely have made the management aspects of multiple PostgreSQL databases a Breeze. We are looking forward to leveraging the power of RDS for PostgreSQL and the PostGIS extension," said Javier De La Torre, CEO and Founder of CartoDB. ESRI, a global leader in geo-spatial applications, has been testing Amazon RDS for PostgreSQL. "Thousands of enterprises rely on ArcGIS to build rich geospatial applications that combine location data with business analytics." said Marwa Mabrouk, Cloud and Big Data Product Manager at ESRI Inc. "As our customers move their applications to the cloud, many of them choose PostgreSQL. We are excited about Amazon RDS for PostgreSQL because customers can focus on the business, and not on the database administration. We think Amazon RDS for PostgreSQL is simple to use, cost-effective, and will enable ArcGIS developers to be more productive. We are looking forward to expanding our usage." Boundless, a leader in open source software for geo-spatial applications, tested Amazon RDS for PostgreSQL with OpenGeo Suite on AWS Marketplace: "Getting the PostgreSQL instance up and running was easy. OpenGeo Suite connected to the RDS instance with no problems, and configuring a large table as a layer was simple. Despite starting with little knowledge of AWS web services, a backed-up, replication-ready database was up and running in under an hour, and OpenGeo Suite tied into it in another. With the knowledge we’ve gained, next time will take only a few minutes." said Paul Ramsey, founder of PostGIS and geospatial architect at Boundless. Only Jaspersoft and Amazon RDS offer customers a full analytics stack for cents per hour. This stack includes your MySQL, PostgreSQL, Oracle or SQL Server database managed by AWS as well as reporting, dashboards, data visualization and data exploration from Jaspersoft. Additionally, Jaspersoft for AWS automatically identifies and connects to your Amazon RDS data sources so you can literally go from purchase to analysis in minutes. Finally, you can use Jaspersoft and Amazon RDS to both analyze your business as well as to embed beautiful data visualizations in your app. Logi Analytics helps organizations discover new insights and distribute information to the people who need it most. Our customers are increasingly moving their data to the cloud and leveraging Amazon RDS to store and manage their data. With Logi Analytics’ support for Amazon RDS, organizations have an easy way to store and manage their cloud data at scale, mine this data for new insights, and distribute mission critical information to the people who need it most. Looker and Amazon RDS combine our modern web-based approach to BI with the ease of creating an analytical infrastructure that’s scalable, cost-effective and easy to manage. Customers can quickly set up powerful analytical environments that are 100% in the cloud and 100% in compliance with their security requirements, while delivering a browser-based experience that enables anyone in the organization to access the data they need to thrive. Set up is so easy that customers can have their own Cloud BI stack in a matter of minutes—without needing to go through a data warehousing project. Amazon RDS brings the scalability and cost-effectiveness of the AWS Cloud to the SQL database market and it complements Amazon RedShift and Amazon Elastic MapReduce, expanding AWS’ presence in the high-growth Big Data space. With Amazon RDS customers can set up, operate and scale a MySQL, Oracle or SQL Server database and connect to MicroStrategy within minutes, allowing them to spend time focusing on more important things like analyzing information and making decisions using MicroStrategy. Today more and more data is born in the cloud. This makes Amazon RDS ever more compelling. Customers can reduce database maintenance overhead, while not being worried about scale, at a very low cost. We at SiSense strive to enable our customers to analyze their data wherever it is, on-premise or in the cloud. Amazon RDS is a rock-solid foundation for cloud analytics with SiSense. Amazon RDS gives you quick and easy access to MySQL, PostgreSQL, Oracle or Microsoft SQL Server relational databases in the cloud, while Tableau’s visual analytics software allows you to analyze your data no matter where it lives. Combining Amazon RDS with Tableau’s interactive analysis makes it possible for companies to easily manage and understand their data with low start-up costs and no big IT projects. It's easy to connect Yellowfin’s intuitive BI and analytics solution to Amazon RDS. Create stunning Web-based visualizations and explore petabytes of data in an instant with a few simple clicks. The cost advantages of the cloud mean that organizations of all sizes can build the content and generate the insight they need immediately. Amazon RDS makes it easy for Zoomdata users to manage their relational and columnar data without worrying about the traditional details and complexity of database administration. This allows Zoomdata users to connect to legacy database systems as well as modern, columnar data stores such as Amazon Redshift and fast SQL on HDFS, and fuse data together regardless of the back-end system that holds the data. Knowing that Amazon RDS customers value easy set up and minimal administration, but at the same time, high-performance and cost-efficient solutions, Attunity’s Replicate solution proudly reflects these advantages. 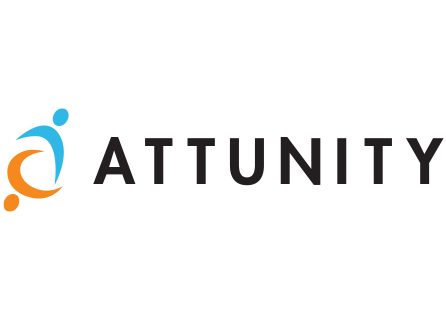 Within minutes, customers can leverage Attunity Replicate to manage data integration, with simplicity and acceleration, across Amazon RDS and other compute environments. Amazon RDS is extremely flexible, the ease of use and set up is amazing. Amazon RDS is great for testing, training and database hosting. By integrating with Amazon RDS we have allowed customers to move to a hosting environment that manages the software and hardware so that customers can focus on their core business. Relational databases are the backbone of any enterprise IT architecture. Amazon RDS makes it very easy to get up and running with Oracle, MySQL and SQL Server relational databases in the cloud. This offering is gaining rapid adoption due to its low friction set up and administration, and affordable usage-based pricing model. The SnapLogic Integration Cloud provides customers with a quick and easy on-ramp to Amazon RDS. Toad for MySQL provides you a simple yet powerful tool to create, manage and execute database queries, handle database object management and develop SQL code for MySQL databases. Provisioning, managing, operating and securing your MySQL database is made easy and intuitive with Amazon RDS. Together, Toad for MySQL and Amazon RDS provide a seamless end-to-end database management experience for MySQL databases, simplifying your experience so you can focus on what matters most, your apps and your customers. Navicat is a fast, reliable, and comprehensive Database Administration Tool purpose-built for simplifying database management and reducing administrative costs. Navicat’s intuitive GUI gives you an easier way to manage, design, and manipulate data in MySQL, MariaDB, SQL Server, Oracle, and PostgreSQL. Datadog is an infrastructure monitoring platform that is very popular with AWS customers—you can see historical trends with full granularity and also visualize and alert on live data from any part of your stack. We worked with AWS engineering to expand the RDS integration between Datadog and Amazon. AWS is a great partner to work with and we’re thrilled they chose Datadog to help them deliver advanced monitoring to their RDS customers. The New Relic Software Analytics Cloud helps companies securely monitor their production software in virtually any environment, without having to build or maintain dedicated infrastructure. New Relic helps companies improve application performance, create delightful customer experiences, and realize business success. The Amazon RDS plugin for New Relic displays CloudWatch metrics for RDS, such as CPU utilization, latency, and throughput. 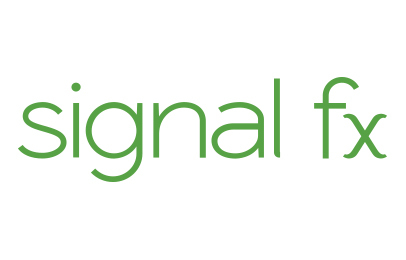 SignalFx provides real-time cloud monitoring and intelligent alerting for all the services across your modern stack. Analyze metrics as they stream from Amazon RDS with built-in dashboards and alert detectors, and aggregate with time series data from the rest of your cloud infrastructure and microservices. With SignalFx, ops and dev teams see service-wide patterns and outliers as they emerge so they can take action before an issue even arises. 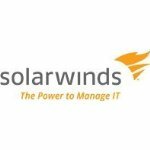 SolarWinds Database Performance Analyzer (DPA) gives you visibility into your Amazon RDS for MySQL, Oracle and SQL Server databases with expert advice to the fix the performance bottlenecks that are slowing down your applications. DPA makes it easy to solve complex database issues and optimize application response times in development, test and production. Webyog provides best-of-breed data management tools for managing popular open-source databases. MONyog - RDS MySQL Monitor and Advisor is a 'MySQL DBA in a box' that help you manage your MySQL servers. MONyog needs no agents on the servers so it works great with Amazon RDS for MySQL. "2nd Watch is constantly working with clients to deploy diverse and critical line-of-business relational database systems to AWS. Although each database implementation is unique, 2nd Watch also recognizes the need for a consistent, predictable, enterprise-class solution for seed schema/data migration and data synchronization orchestration. AWS’ line of migration tools, including the RDS Migration Tool, not only streamlines projects but also improves overall data security by reducing or eliminating the collection of loosely supported and unfamiliar tools a DBA would otherwise use at his or her own risk." "Amazon RDS and the Database Migration Service is all about value to business. Business users realize this value when they can do their job with minimal delay attributed to migrating infrastructure, servers, databases and data. Apps Associates’ lightweight, high-value business and infrastructure services complement AWS and cater to Hybrid Cloud/Hybrid IT and Complete Cloud/Cloud Native applications by moving data between homogenous and heterogeneous source and target databases like Amazon Aurora, Amazon Redshift, MySQL, Oracle and SQL Server. Apps Associates not only provides infrastructure and data migration services but also schema migration and code migration, application modernization, security and training. Apps Associates is a one-stop shop enabling enterprise users to realize maximum gains from their investment in AWS." "Cloudnexa is a Premier Consulting and Managed Service Partner of AWS. We work with clients in a variety of data migration scenarios. If you are migrating your on-premise databases to AWS utilizing Amazon EC2 or Amazon RDS, Cloudnexa can help you with this migration, including incorporating any version updates required as a part of the project. Or if you are evaluating a cross-platform migration, for example Oracle to PostgreSQL, Cloudnexa will design the architecture, set up data migration using the RDS Migration Tool, and manage the environment on an ongoing basis. Lastly, if you are considering a move from Amazon EC2 to Amazon RDS, Cloudnexa can advise you on the project and engage with you for the migration." "Datapipe's Managed Amazon RDS Solution provides a complete lifecycle approach to designing, migration and management of databases with certified DBAs, deployed with best practices for security, architecture and performance. An AWS Premier Consulting Partner, Datapipe supports Amazon RDS with the full stack, including HA and Multi-AZ deployments. Datapipe assists clients in architecting solutions that meet requirements including low latency direct connections to Datapipe's global data centers for hybrid solutions. Datapipe's practice supports the Amazon RDS Migration Tool which allows a graceful migration of data from on-premise and Amazon EC2-based databases to Amazon RDS - supporting Oracle-to-Oracle but also migrations between different database platforms." "Digital Edge UST Global is a digital services company based in California. Our mission is to 'Transform Lives' using the power of digital technologies. Digital Edge UST Global offers a unique approach that combines Pre-Fabrication and Automation to migrate enterprises from an on-premise Oracle platform to AWS cloud stores. Our assessment framework automates the aggregation of the current state from diverse sources and charts out the optimal migration path that minimizes the impact to business while maximizing ROI. Our Tool Driven Accelerated Migration approach incorporates the Amazon RDS Migration Tool and leverages minimally invasive migration techniques to offer predictable outcomes with guaranteed savings." "Amazon RDS provides Logicworks clients with a robust and scalable database solution that can significantly reduce time-consuming database administrative tasks. Our clients are able to focus on developing their application -- not on infrastructure provisioning, patching, and failover. 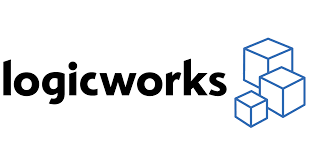 Logicworks has offered managed database services for over two decades, so whether migrating from on-premises databases or from Amazon EC2-based solutions, Logicworks uses the RDS Migration Tool to make an easy transition to Amazon RDS while maintaining compliance and security." "Pythian is a global IT services company that helps companies compete by adopting disruptive technologies such as Cloud, Big Data, Analytics, and DevOps to advance innovation and increase agility. Specializing in designing, implementing, and managing systems that directly contribute to revenue growth and business success, Pythian’s highly skilled technical teams work as an integrated extension of your organization to deliver continuous transformation and uninterrupted operational excellence. Pythian can prioritize application workloads for migration, design your migration plan and leverage the Amazon RDS Migration Tool as part of implementation. As an Amazon Advanced Consulting Partner, Pythian has extensive expertise and hands on experience with Amazon AWS services from strategy to architecture, migration best practices, performance tuning, high availability, cloud security, and disaster recovery." "As an AWS Premier Partner, we help clients, globally, solve their most complex data architecture, migration, and performance problems. Slalom works closely with AWS to provide appropriate solutions to meet customer’s individual needs. Our focus is on providing seamless migration and deployment services to our customers whether it is for an existing database technology or a new environment. Slalom’s consultants have hands-on experience with the RDS Migration Tool and a wide range of database implementations and technologies, allowing them to help customers successfully migrate to AWS. From implementation, integration, and performance tuning, Slalom helps organizations realize the benefits of an AWS data environment." "DB Best Technologies specializes in database modernization, migration and optimization. We have a solid background in developing next-generation database management solutions, so if you are looking to convert your legacy database engine to a next-generation cloud engine on RDS, DB Best can help with the migration. DB Best leverages the AWS Schema Conversion Tool and AWS Database Migration Service, as well as their own toolkit of solutions managed by expert DBAs to help make your migration project a success." "8KMiles has been deploying Amazon RDS on all 3 available platforms, Oracle, MySQL and SQL Server, from its inception, for delivering highly scalable and available database solutions for our customers on AWS. We have leveraged Amazon RDS's Multi-AZ feature numerous times to provide our customers with database high availability that is redundant across AWS data centers, ensuring increased uptime. We have deployed Multiple Read Replica’s of Amazon RDS, elastically with ease and combined it with load balancing to handle the read scalable production use cases." "Amazon RDS takes care of most of the manual database administrative tasks, saving us time and energy that we can better use on provisioning, deployment and recovery strategies at every tier. We leverage from many Amazon RDS features, the top ones are Multi-AZ for high availability, Amazon RDS API for automated provisioning and Amazon RDS PIOPS for consistent I/O performance requirements." "Amazon RDS is an industry game changer. With the ability to leverage a license-included model, customers can easily scale up or down, eliminating the need to procure additional hardware while still providing a high performance service. DLZP Group deploys Oracle applications, including PeopleSoft Financial and Supply Chain Management and Human Capital Management, onto the Amazon RDS Service." "Amazon RDS service enables us to quickly and efficiently build highly scalable multi-tenant or single tenant architectures, at a fraction of the cost. As a primary technology provider, we prefer Amazon RDS due to its easier learning curve vs. hosting a traditional relational database system. Amazon RDS also enables us to be more self-sufficient and reduces the dependency on Infrastructure teams to stand-up servers during project development stages. We investigated many database hosting alternatives, and prefer Amazon RDS for a number of reasons." "In hundreds of database deployments performed by Minjar’s team on AWS, around 90% of them are running in Amazon RDS to reduce the costs and provide more business value to our customers. The high availability, scalability and robust performance of Amazon RDS has made it our preferred DBaaS offering for most of the business applications supported by us on AWS Cloud. In addition to this, the Multi-AZ deployment, elasticity to scale resources on-demand, automatic backups and patching options of Amazon RDS reduce the overhead in setting up business continuity and DR process for databases. This reduces the risk of failure and ensures our business goals are achieved. Amazon RDS is our go-to choice for enterprise level database solutions in the Cloud to reduce time to deployment for any new workloads." "Amazon RDS makes it easy for us to perform the critical database tasks required to maintain high SLA's. Complex database configurations and tasks become checkbox options, or a push of a button. Amazon RDS' rich feature set makes it easier for us to perform otherwise time consuming tasks, such as creating a synchronous slave with auto-failover through Amazon RDS Multi-AZ, creating a Read-Replica, snapshot backup, major and minor database upgrades and point-in-time restores, to name a few." "We advise Amazon RDS to our clients for their RDBMS requirements. We have implemented several solutions including Application Migrations and Start-up Applications encompassing the E-commerce and the Marketing domain and are using RDS for one of our own home-grown legacy applications. With the constant new additions to the feature list and customer focused pricing options, we can leverage Amazon RDS as a powerhouse for our client’s and our RDBMS needs." "As an active and experienced AWS Premier Consulting and audited AWS Managed Services Partner, tecRacer offers Consulting and Managed Services for RDS PostgreSQL environments. tecRacer has delivered a number of database projects using RDS PostgreSQL to customers in Europe." DIscover Amazon RDS documentation, tutorials and more.